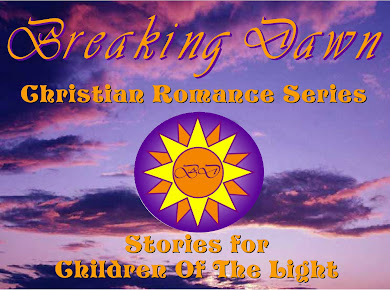 You all know that I'm a Christian Romance writer. I love writing love stories. The Greatest Love Story ever written is the Bible, and the best part about that is it's TRUE! Well, one facet of a couple's relationship is that most of the time, the couple has a special song that they refer to as "Our Song." Maybe it was playing when he proposed or when they first knew they were in love. Whatever the case may be, "Our Song" is a popular phrase-and everyone should have a song. I was privileged to be able to attend the Watch Night Service at Open Bible Baptist Church on December 31st. One of the preachers there was a missionary going to preach the Gospel in North Korea-that's right NORTH Korea. For safety's sake, I will not mention his name. God is able, and He knows this blessed man's name, so we will pray for North Korea and let God handle the rest! I've highlighted, this word "workmanship", because the Lord used His comments to give me this blog post. I pray that it will help someone out there. The missionary said that an old Indian preacher had given him the original Greek word and it's translation, and that made me want to do some research. I found that the Greek word that is translated as "workmanship" here is "ποίημα", literally translated "poem". That old Indian preacher had done his homework-he was dead on! A poem, just like any other work of art is indeed a workmanship-make no mistake about it! When I write a novel, it is definitely WORK! So, we see that the KJV here is correctly translated. I still love studying the Greek and Hebrew from the Bible though, because it can give you a different perspective, like we see here. The missionary continued sharing his conversation with this old Indian preacher-the preacher explained it to him as such: God is writing a poem, or a song, with our lives. Verses: They tell the story-not just the everyday stuff-special events that are worth singing about. Chorus: This part is repeated over and over, and is always the most popular part of the song-people will sing this the loudest! Folks will sometimes forget the title of the song, and simply call it by the Chorus! Bridge: Not all songs have these, but some do. This part of the song is very distinctive, different from the rest of the song. It creates momentum and, most of the time, leads into a key change (modulation) where you sing the chorus again in a higher level, or key. So, I thought that the verses of the song are events in our lives. Not the mundane, everyday things, but things that happen in our lives that are special. Application: What kind of song are we singing? Are we singing the blues-complaining all the time? Are we singing songs of rebellion? Or are we singing love ballads (some of my favorites) that tell the true love story of Jesus? Can others see this love song playing out in our lives? Then, I thought about the Chorus-the part that is sung over and over, and the part that is "the identity" of the song. Application: What's our identity? What do people "know" us for? What do they associate with us? Um. That really made me stop and think-woe is me! This is our everyday life! Sometimes it gets monotonous and tiresome. But, the chorus should always emphasize the main idea of the verses. And remember, it's the part of the song that's always sung the loudest! I love to hear my nephews Gabe, Adam, and Jonathan singing "Dwelling in Beulah Land" in church! They just belt it out on the chorus and literally shout "Praise God" at that part! It brings a smile to everyone's face! So, what do our lives "shout out"-bitterness, rebellion, or love? Finally I thought about the bridge-the part of the song that is different. Sometimes the bridges in songs may even be in a minor key. I associate this portion of the song with trials. God uses trials to refine us-to get rid of the trash in our lives to make us more pure for His use. These difficult times are designed by God to bring us closer to him, and to make us stronger. At the end of the trial, don't you feel like you're on the mountain top? That's our key change! Our Modulation! That's our "Higher Ground!" That bridge helps build momentum and strength for us to make it up that hill! It helps us to fight the fight, and to keep on keepin' on until we reach that higher level for Jesus! Amen! I finished that last paragraph through tears-so if no one else out there needed this post today, I know I did! In conclusion, let's all take a good look at our lives for the New Year-and let's let Jesus be "Our Song"! AMEN! That's good! He is the only reason we sing! !